Father, Son and Holy Spirit." The Church of St. Stephen and St. Bede is active in the community, including through some of the activities pictured here. We have added our resounding voice for healing and reconciliation, offering prayer walks and ringing our church bells in solidarity with indigenous families mourning the loss of murdered women and children. Wednesday mornings you are invited to communion, followed by bible study when we look into God's word for direction and guidance. The Church of St. Stephen and St. Bede is active in the community, hosting the bi-weekly Mount Royal Food Bank in partnership with Winnipeg Harvest (above). Following the way of love, our members have advocated for traffic safety in the neighborhood, hosting a meeting of concerned residents in the area (above) and maintaining follow-up contact with City Council. 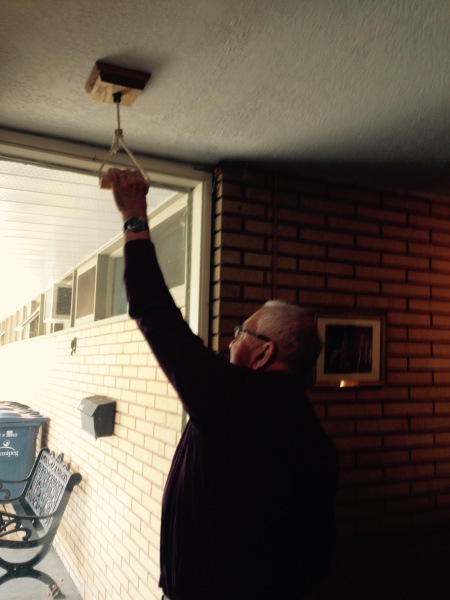 Early in September 2015, Pastor Ted Chell rang the bell following Communion to give thanks for, and and celebrate the reign of, Queen Elizabeth II, now the longest serving monarch in British history.